Now that we understand more about the oral systemic connection, we realize how oral health is connected to overall health, and how important it is to maintain it. Besides regular trips to your dentist twice per year, there are many additional things you can do at home to help maintain your oral health. At Brooks Dental, we strive to be your lifelong partners in achieving and maintaining optimum oral health. 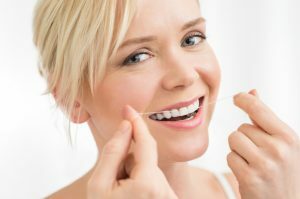 Here are five things you should know about dental hygiene from your dentist in Revere. Brushing your tongue may not seem like such a big deal, but did you know that plaque and bacteria can build up and hide in this unassuming area? It’s true, and this build up can also contribute to bad breath. Don’t forget to brush your tongue, and there are also special tools you can purchase to clean it. Adding a mouth rinse to your home care is quick, easy. Plus it gives your mouth some extra protection against bacteria, acids, and plaque build up. As an added bonus, it also helps to promote fresh breath. Your hygiene team can recommend the right mouth rinse for your needs. Did you know that how you brush is just as important as how often? Using gentle circular strokes that massage your gums will ensure that you successfully remove plaque build up and protect your gums from recession. Brushing too vigorously can injure or damage your gum tissue, so be sure to be gentle and take your time. You should also brush for at least two minutes – think 30 seconds per quadrant. Many patients invest in an electric toothbrush, which essentially does all the brushing work for you. It also has an automatic timer to let you know when it’s been two minutes and ensure optimum brushing time. Most of us understand that sugar is the number one enemy of your teeth, and this is because it fuels the acids that cause tooth decay. Did you know that acidic beverages such as coffee, tea, red wine, and soda are also detrimental for your teeth? Unless you brush your teeth right after drinking these beverages, you’re essentially just bathing your teeth in the acids that cause cavities. Water is the best beverage choice throughout the day. By avoiding tobacco use and smoking, you’re doing your teeth and mouth a favor. Not only does smoking and tobacco use severely discolor your teeth, it also puts you at a higher risk for periodontal disease and oral cancer. Pkus the chronic bad breath it causes is a big problem. At Brooks Dental we’re happy to help you achieve and maintain optimum oral health for a lifetime. Contact our office to schedule your next appointment!